Scott McClaskey and Kirk Miller know pizza. They worked as regional vice presidents for Domino’s Pizza, sharing 60 years between them in the pizza business. When they considered opening a pizza restaurant in Lafayette, McClaskey and Miller searched for something new and unique. They visited numerous innovative pizza establishments, then worked out a business model over the course of a year. Their goal? “We looked at each other and asked, ‘What do we have to do to be the best?’” McClaskey explained. “We said, ‘We’re going to do this better than the other guys.’ With our years of experience, we really thought we could create something that was better than what we saw." 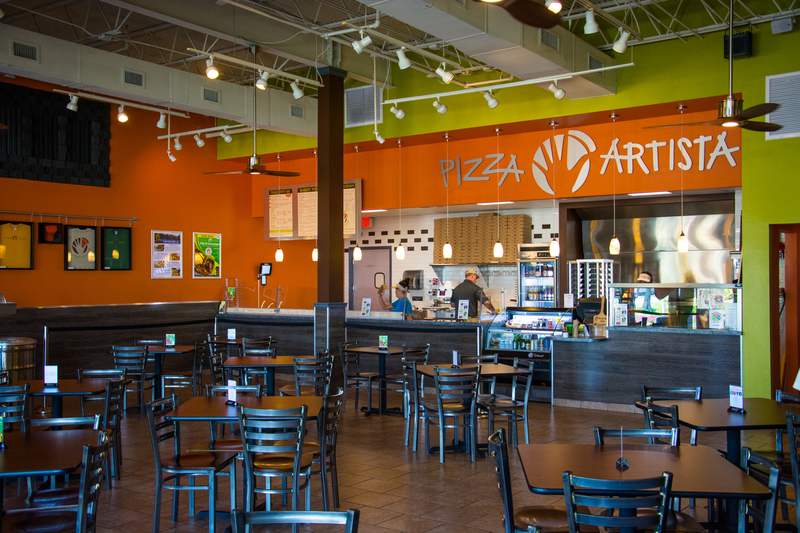 Pizza Artista opened on March 15, 2015, a fast-casual pizza concept that allows guests to create their own flavors in pizza. 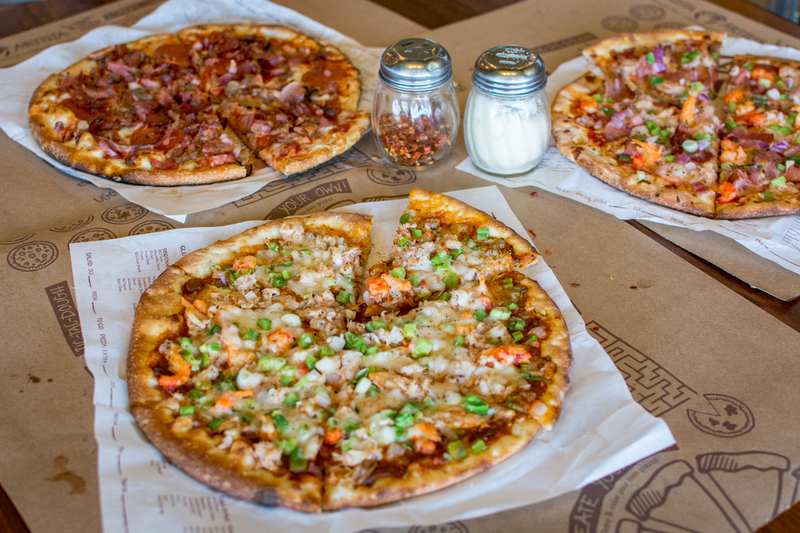 With more than 70-plus ingredients and finishes to choose from, Pizza Artista offers a wide variety of pizza combinations. 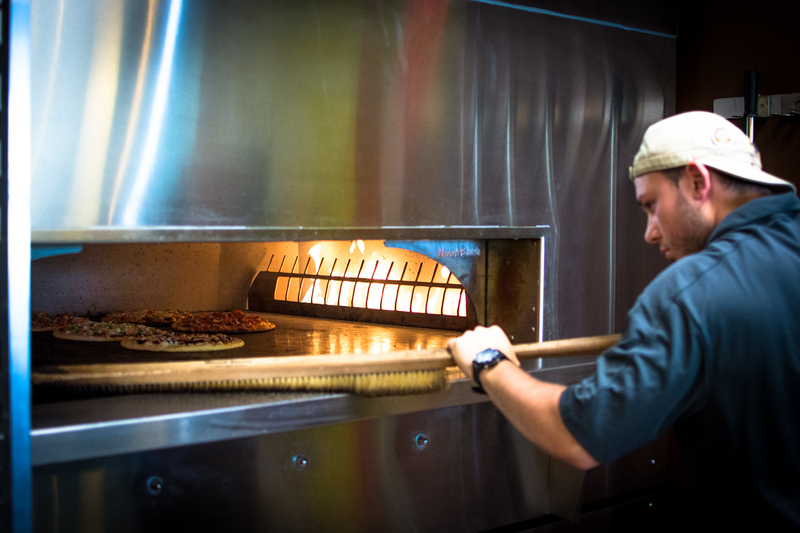 The pizzas are fast-fired over an open flame and most are served in about three and a half minutes after allowing all the wonderful fresh ingredients and flavors to blend together. Their traditional and whole wheat dough is made from scratch daily and aged to perfection for flavor and texture. For those with special needs, Pizza Artista offers vegan and gluten-free options. All produce is fresh and their mozzarella, naturally smoked provolone, smoked Gouda and cheddar cheeses are 100 percent real cheese, all cut by hand daily. 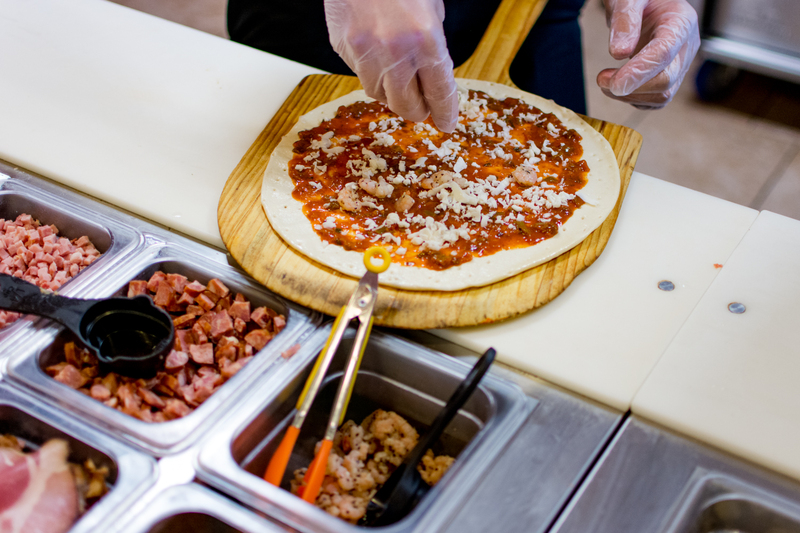 In addition, Pizza Artista offers specialty pizzas with a local flare, such as the Classic Cajun topped with andouille, tasso and sausage (their biggest seller) or The Boucherie filled with boudin, cracklin’ and Steen’s syrup. “They’re just incredible pizzas,” McClaskey said. Seafood lovers will want to try the Seafood Sauce Piquant with crab, crawfish and Gulf shrimp. For a little of both worlds, there’s the Swamp Daddy, featuring all the Cajun meats as well as shrimp, crawfish and crab. New pizzas designed by the chef are rolled out quarterly, such as the Fig & Awesome comprised of brie, fig, smoked tasso and provolone cheese. The Caribbean mango chicken was a quarterly special that diners raved about and it eventually became part of the menu. “We would have had major disappointment if we pulled that one,” McClaskey said. Hospitality is part of the success of Pizza Artista. Servers greet you upon arrival, put together and cook your pizza in record time and if you end up not liking the creation you assembled, you can start again. “If diners don’t like their pizza, they can make another,” McClaskey said. Always innovative, Pizza Artista offers an automatic hand-washing station for its guests, a kids’ station and an outside seating area for when the weather is cooperating. The restaurant located in the Times Plaza Shopping Center, between the Armed Forces Service Center and Tansations, also offers its space for celebrations such as birthdays and fundraising events.